CAMERON STEELE, No. 16 (Overall and SCORE Trophy Truck Leader after Saturday)–The course was tricky and with these SCORE Trophy Trucks you want to go fast. But they are meant to go fast in a straight line. SCORE throws in curves like hills and turns. I was trying to protect the Truck and the tires. I had to be a smart racer because it was gnarly. I am stoked to be here, and I have to Thank God, my Wife and my Daughter. TIM HERBST, No. 19 (Second after Saturday)— ED HERBST CO DRIVER SAID: We were consistent all day and took Zero chances. It went well today and we feel like it was a good day. Tomorrow Tim will be driving for us. 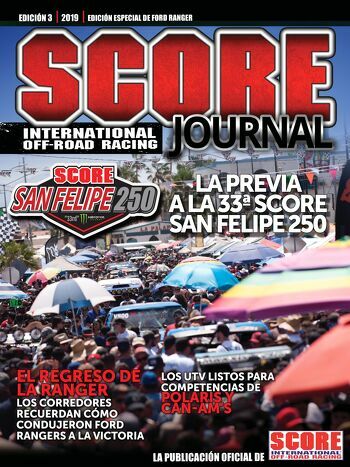 We are preparing for the SCORE Baja 1000. We will be good! ROB MACCACHREN, No. 11 (Third after Saturday)—CO DRIVER JUSTIN B SMITH SAID: It was a privilege to get the call to substitute for Rob who is racing short course today in Glen Helen. The course is rocky, dusty and tight. But today was about having a good points day for Rob. GUSTAVO VILDOSOLA, No. 12L (Leader after Saturday)—Good day for us all day as my Navigator did a great job telling me where to go. Adam is preparing for the SCORE Baja 1000. It was a good day with no flats or errors. BRIAN WILSON, No. 100 (Leader after Saturday) We took the lead and set the pace. It was dusty but we took our time and kept picking trucks off. Then the throttle was sticking and the Truck wouldn’t shift. We will fix the truck and come back tomorrow. BRANDON BAILEY, No. 129 (Third after Saturday) This was a great Track and we enjoy SCORE DESERT racing. SARA PRICE, No. 204 (Second after Saturday)—We had a blast. We met every one of our goals today. Our BFG Tires were great today with no flats. We recovered a lot of obstacles and the dust was really bad today. My Navigator Erica was on point and did great for us all day. Tomorrow we can’t wait to come back and race with no dust. BRIAN TROTTER, No. 225 (Third after Saturday)—It was a good day. The Course is very technical and tight. There was a lot of dust but that’s Baja! The Bryce Menzies Truck broke down and so we pushed it, then some other truck pushed us. But we wanted to have it on record we helped Bryce. J.J. SCHNARR, No. 1062 (Second after Saturday)– We got a great lead on the first lap because we started first. But the lapped traffic was tough once we caught up with them. Tomorrow we will have Roberto Romo driving. Should be a great day. TY GODDE, No. 1049 (Sixth after Saturday)—The course was very tight and twisting. But not a problem with the Dust because of where we started. Tomorrow the Drivers will be Steve Hext and Victor Sanchez. JIM ANDERSON, No. 1030 (Seventh after Saturday)—The course was rocky and dusty, but especially Mile 9 thru 11. Also, Mile 14 thru 15 was very winding and you are driving in silt so you have to be very careful. EDUARDO RAMIREZ, No. 809 (Leader after Saturday)—The Race was very technical for this type of heavy Car. Tomorrow my good friend Known as El Vaquero will be driving. OSCAR R. ALVAREZ, No. 1603 (Leader After Saturday)—CO-DRIVER RAMON BIO SAID: The course was very challenging there was a lot of dust. We did have luck 60-70% of the time on the course where it didn’t effect us at all. But by the second lap I was very tired, but I had a lot of fun. Tomorrow the driver for the entire race will be Oscar R. Alvarez. GUSTAVO PINUELAS, No. 1218 (Leader after Saturday)—Very interesting race with a lot of dust. The Class 8 were like an obstacle on the Course. We bumped them so that they would move but they didn’t. I drove both laps myself and tomorrow Jose Carlos Carochis will be driving. 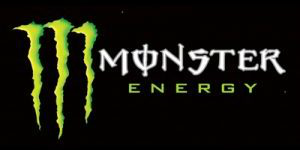 Looking forward to the SCORE Baja 1000. MARK MCNEIL, No. 501 (Leader after Saturday)—We had a good race until we lost our brakes with 5 miles to get to the finish. Very dusty but in clean air we were fast. Tomorrow my Father Perry McNeil will be driving for us. WES MILLER, No. 2989 (Leader After Saturday)—This was a fun race. It was very technical and dusty on the first lap. We kept pushing hard and working to get in clean air. That made it even better. WAYNE MATLOCK, No. 2971 (Third after Saturday)– I am not a fan of the starting order. It was a frustrating race with the Class 12. RHYS MILLEN No. 2966 (Second after Saturday)– Today was a fantastic day. 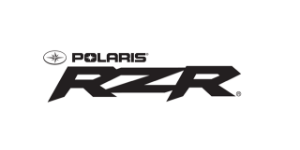 We have been working so hard on the Polaris Razor and today was the best it has ever been. We have been working hard and never giving up. Now we just have to get the Driver smarter for driving in Baja. ALONZO LOPEZ, No. 2949 (Fourth after Saturday)—We had a good day but it was rough. We had a great battle with Rhys Millen and Wayne Matlock. Then with 2 to 3 miles to go we broke an axle. Looking forward to tomorrow where it will all shake out. KRISTEN MATLOCK, No. 1954 (Leader after Saturday) — Today was a awesome day. Everyone was very respectful, I didn’t have to rear end anyone. I do believe we are the Leader today. ADRIAN ORELLANA, No. 1985 (Second after Saturday)—First off the line and we were being safe. A couple of guys caught us and made it fun but hey it’s Baja. KADEN WELLS, No. 1995 (Third after Saturday)—The Course was rough and dusty but we made some passes. Then we broke a front axel and still finished. We will get it fixed and be back tomorrow. CARLOS DIAZ, No. 711 (Leader After Saturday)— The Track was very difficult but with the help of the Lord and our Team we didn’t have any incidents. We saw a lot of accident’s but we were not affected by any. Today I drove both laps and Miguel Sandoval will be driving tomorrow. FRANSICO REYNOSO, No. 551 (Leader After Saturday)—The race was very good but I am very tired. I had to pass cars to drive out of the dust cloud. I will start and finish the race tomorrow. VIRY FELIX No. 1104,(Second after Saturday)– CO-DRIVER ADRIAN GUERRERO—We got stuck at the start and then had 10 miles of clean racing. I want to Thank the competitors for waiting for us to move over and be safe. It was just survival at that point and I was looking backward more than forward. ERIC SOLORZANO, No. 1111 (Leader after Saturday)—The Car ran excellent, but we did get stuck a few times. We had to make contact with another car as we couldn’t pass without contact. It was about Speed it was very stressful. JUSTIN MORGAN, No. 7x (Leader after Saturday)– With a 5th place start at 6:30 AM and no wind it was very dusty. We kept our Head down and came away with the lead. Played it safe, lots of scary things that look different in the Morning that will be a twice as big tomorrow after the Trucks run today. But it will be Fun! SANTIAGO CREEL, No. 66x (Second after Saturday)– The Course was difficult and the dust was crazy. We kept it on two wheels, we rode smart. I am happy to be here and happy to be in one piece. Dust was the main thing but Pre Running really helped. PHILIP JARAMILLO, No. 106x (Leader after Saturday)– This course was very tough. I almost wrecked 10 times but tomorrow will be even more of a challenge. My Co Driver is Willy Graziola who rode the 2nd lap, we will be back tomorrow to Race Again. LUIS FLORES, No. 171x (Third after Saturday)– I rode the 1st lap and second lap was ridden by my Co Driver who is Juan Carlos Ochoa. This is a very challenging Track with lots of rocks but keeping the rhythm and momentum we will keep moving ahead. Be back tomorrow to try again. RYAN LIEBELT, No. 300x (Leader after Saturday)—CO DRIVER ANDREW PUCKETT SAID: We started in the back but made our way thru the pack. There was a lot of passes and we all had to deal with the Sun which was a challenge. The Course was very technical and rough. I knew if I had fun I would get thru it. Ryan started the Race, then I rode both laps with only one slow fall in a technical part of the course. JANO MONTOYA, No. 400x (Leader after Saturday)– I started the race and then my Co Driver Alberto Ruiz took over and he rode the rest of the race both laps. Lots of rocks, dust and the Sunrise was a challenge. Tomorrow the race will be ridden by Sergio Vega solo. Giovanni Spinali, No 510x (Leader after Saturday)– I rode the 1st lap and it was dusty and with the Sunrise is was very difficult to see. My Co Driver Earl Robbins rode the 2nd loop and we have a total team of 4 Riders. 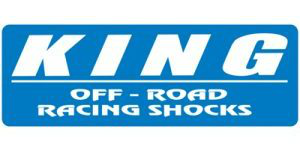 Tomorrow we will have John Griffin starting off and Troy Pierce for the 2nd lap. FRANCISCO SEPTIEN, No. 730X (Leader after Saturday)– Pretty good Event with a lots of dust, but we passed a couple of bikes. Kept it on 2 wheels and kept up with the 2nd place Rider, last year points Champion Jose Carrasco. Overall, I think it went well. We had no issues with the bike. Everything went smooth, we are looking forward to tomorrow. LIZ KARZC, No. 722x (Third after Saturday)– My 2nd Lap was better than my 1st Lap because I could see. It is very difficult course with the dust, but I wanted to keep it in on two wheels and I did. Only made two mistakes on Lap 1 and I went down once but I am all good, ready for tomorrow. JOSE CARRASCO, No. 721x (Second after Saturday)– The course is very difficult with the rocks and dust. I rode solo today. We ended up 15 seconds behind the leader, but it was a very tight race. GUY LAYCRAFT, No. 649X (Leader after Saturday)– CO-DRIVER DAVID FOX SAID: We were the only Team in our Class. Guy Laycraft rode the 1st loop and I rode the 2nd . We took our time and trail rode due to how gnarly it is. You are bouncing the whole time. It was very disappointing that the Mexican Team that Battled with us at the SCORE Baja 500 wasn’t able to make it. Even trail riding I fell twice. Dodging rocks and driving thru Silt. Saving our self for the SCORE Baja 1000.